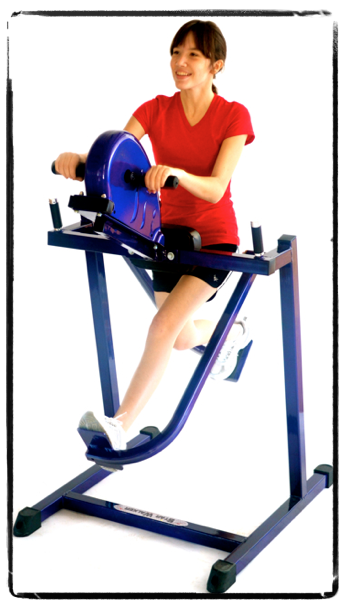 The star walker takes our moonwalker lower body exercise motion one step further by providing an upper body ergometer. This unit will increase heart rate and provides an on board computer that reads out speed, time, distance, calories and has the ability to monitor heart rate through an ear clip. Tension is adjustable.